• WHEN? Wednesday. 28 March. 3:30 pm in The Netherlands. India 8:00 pm. 9:30 am New York, USA. This is a FREE public event. Organised by Jyoti Social. PLEASE BE A PART & SHARE! 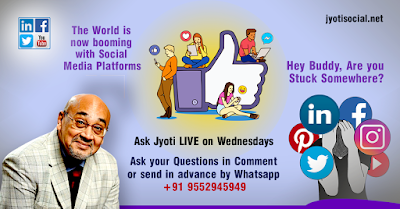 Social Media Marketing LIVE Discussions!